Retail Price: $44.00 Log in for LOWEST PRICE! The winemaking estate of Tenuta Argentiera, on the Tuscan coast about 60 miles southwest of Florence, emerged in the Middle Ages. It was brought to prominence by the Gherardesca family, who dominated the Donoratico area until the 16th century. The estate was then taken over by the Serristori family, natives of Florence, who remained owners until 1970. In 1999, the brother team of Marcello and Corrado Fratini bought the place, and in the space of a few years, created one of the most beautiful and high-quality wineries in the area. Winemaking at the estate is directed by Federico Zileri and "oenological counseling" is provided by Stephan Derenoncourt. Our selection from the Argentiera Estate, Villa Donoratico, was grown and vinted at the southern end of Bolgheri. The winery is close to the sea and at a higher elevation than any other winery in the region, which benefits their grapes and wines, providing a unique and outstanding terroir. 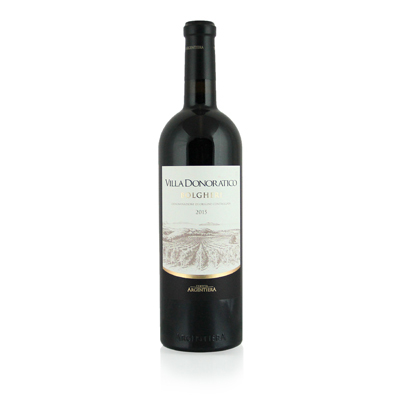 Delightful red wines hail from this appellation, including this red blend selection. The vines here thrive in an array of soils, surrounded by lush Mediterranean vegetation, developing complex, layered flavors.